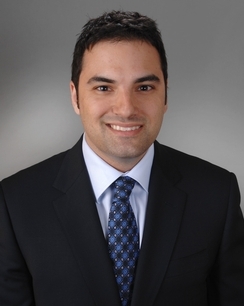 Craig William Mandell is an associate in Hinkhouse Williams Walsh LLP's Advertising Injury Litigation Group. Craig practices as a commercial litigator with a primary focus on intellectual property counseling and litigation, and products liability and toxic tort litigation. His areas of practice include trademark infringement/dilution, copyright infringement, trade secrets, products liability, negligence, consumer protections, unfair competition, fraud, defamation, RICO, breach of contract, cyberlaw disputes, defamation, and right of privacy/publicity. Craig is a regular contributor to an internet column on the latest intellectual property issues at www.techinsurance.zurichna.com, has appeared on WGN's "Politics Tonight" to discuss First Amendment issues, and has been selected as a "Rising Star" by Super Lawyers (2015 and 2016). While in law school, Craig was awarded Third Place in the prestigious ASCAP Nathan Burkan Memorial national writing competition for an article he authored on the subject of copyright law. Craig also was a member of the DePaul Law Review, Executive Editor of the DePaul University Intellectual Property Reporter, and co-founded the DePaul University Arts, Technology, and Intellectual Property Law Journal. Defended two leading designers and retailers of fashion accessories in a multi-million dollar lawsuit involving claims of trademark infringement, trade dress infringement, trademark counterfeiting, and state-law unfair competition in Federal Court in New York. Defended a leading online retailer of pet medications and supplies in a trademark infringement lawsuit involving the use of allegedly trademarked terms on the retailer’s website, in its domain names, and as metadata in Federal Court in Florida. Defended a major distributor and seller of automotive parts against trademark counterfeiting claims arising from the alleged import of foreign automotive parts in Federal Court in Minnesota. Defended a publisher against claims of trademark, trade dress, and copyright infringement arising from its printing of coupon books in Federal Court in Tennessee. Defended a major distributor and seller of karaoke software, hardware, recordings, and equipment against two of the largest music publishers in the world in a copyright infringement lawsuit involving the alleged unauthorized sale of approximately 500 songs in Federal Court in Tennessee. Defended a leading manufacturer and wholesaler of decorative outdoor products in a copyright infringement lawsuit involving the sale of holiday-themed lawn decorations imported from China in Federal Court in Illinois. Defended several copyright infringement lawsuits involving jewelry designs in Federal Court in New York. Represented a major residential construction company against claims of copyright infringement involving the alleged use of architectural floor plans. Defended several companies in right of publicity lawsuits involving the alleged unauthorized use of images of professional models in advertising and promotional materials in Florida state Courts. Defended a commercial landlord against defamation and commercial disparagement claims arising from alleged statements published in connection with an eviction proceeding in a Pennsylvania state Court. Assisted in the representation of the developer and producer of one of the bestselling videogames of all time in serial class action lawsuits involving allegations that defendants fraudulently misrepresented the scope and content of this videogame to an alleged class of millions of its purchasers. Balance of Powers: Recognizing the Uruguay Round Agreement Act’s Anti-Bootlegging Provisions as a Constitutional Exercise of Congress’s Commerce Clause Authority, 54 J Copyright Soc’y 673 (2007). ASCAP Nathan Burkan Memorial Competition National Prize-Winning Article (2006). Tough Pill to Swallow: Whether Catholic Institutions are Obligated Under Title VII to Cover Their Employees’ Prescription Contraceptives, 8 U. Md. L.J. Race, Religion, Gender & Class 199 (2008). Discussed during appearance on WGN's "Politics Tonight" (February 17, 2012). Craig is the co-author of A Practitioner’s Guide to Protecting Technology Assets, 20 DePaul University Journal of Art, Technology & Intellectual Property Law 279 (2010). Winning the Battle, But Losing The War: Why The Second Circuit’s Decision in Viacom Int’l, Inc. v. YouTube, Inc. Is A Landmark Victory For Internet Service Providers, 41 AIPLAQJ 235 (Spring 2013). Willful Blindness in Trademark Counterfeiting Actions. Important Intellectual Property Decisions to Start 2009. Intellectual Property Trends Facing Technology Companies in 2009. The Importance of Bootlegging Laws to Your Technology Client. Courts Create Potential Chilling Effect for Some Technology Companies. Increase in Trademark Litigation Affecting Technology Companies.